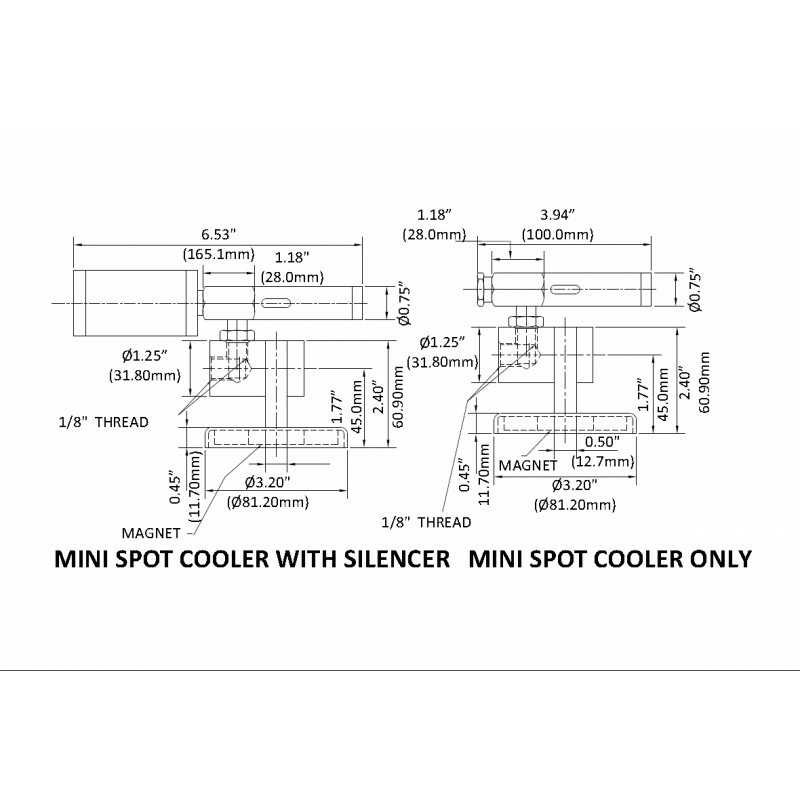 Nex Flow Frigid -X Mini Spot Coolers are made of durable stainless steel and the vortex tubes inside it is also in stainless steel with brass generators.No plastic pieces!It is usable in high temperatures environnements as it comes.Produce cold air from compressed air to cool machine tools and other applications to replace messy misting systems. The tool cooler is available in capacity 8H, there are versions with muffler (56018 no magnetic base ) and without muffler (56108F no magnetic base) or with magnetic base (57008F include also muffler and hose kit). We advise to use inlet pressure from 5 to 7 Bars.